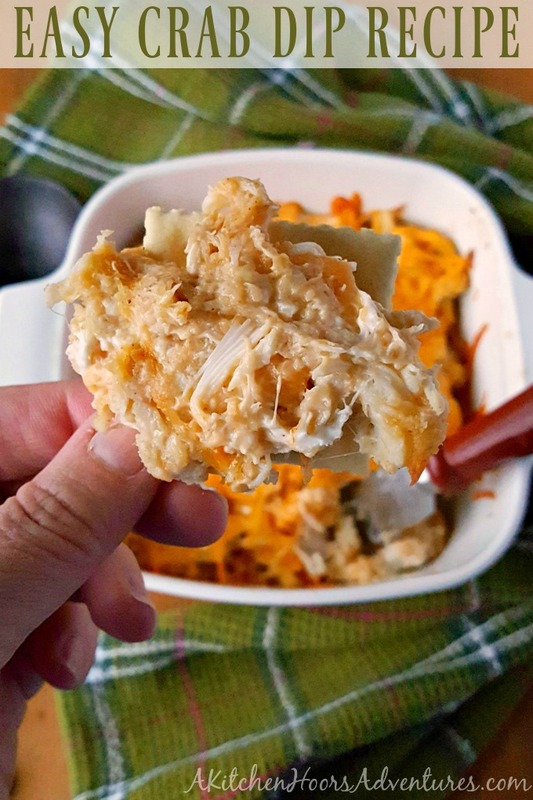 Packed full of crab, cheese, and a kick of flavor, this Easy Crap Dip Recipe is a life saver! Any leftovers can easily be re-purposed into a sandwich, crostinis, or filling for mushrooms. One of my blog besties, Michelle from A Dish of Daily Life is under the weather. She’s going to be out of commission for a few. Since we all know how important blog traffic is, especially for those that rely on it for their source of income, several of us bloggers got together and thought we’d send Michelle some healing vibes. #GetWellMichelle is a group of bloggers who got together to show Michelle and her blog some love while she’s recuperating. We have selected several recipes from her blog that we plan on making and sharing with our readers and on social media. We hope these healing vibes will help Michelle get better quickly so she can share some more delicious goodness! I’m the inaugural post! I’m so nervous. I met Michelle through a foodie link up we both participated in. She saw the value in it, but it was short lived. We were both kicked out (not for reasons of our control). Then she messaged me about starting a new link up that promoted content on Pinterest. Of course, I was in! I LOVE Pinterest. It’s a HUGE driver of traffic to my site. And a relationship was born. She taught me so much about SEO, Pinterest, Facebook; basically, all social media. I listened to what she said, tried some of her techniques and here I am. I’m thriving. I’ve survived the first few years, and see constant increase in traffic to my site. But, that’s not the only reason I call Michelle my blog bestie. She truly is there for me no matter what! Venting about work, asking questions about blogging, bouncing ideas off each other for better SEO. She is a great friend to me in all important aspects of my life. And now, it’s my turn to return the favor! 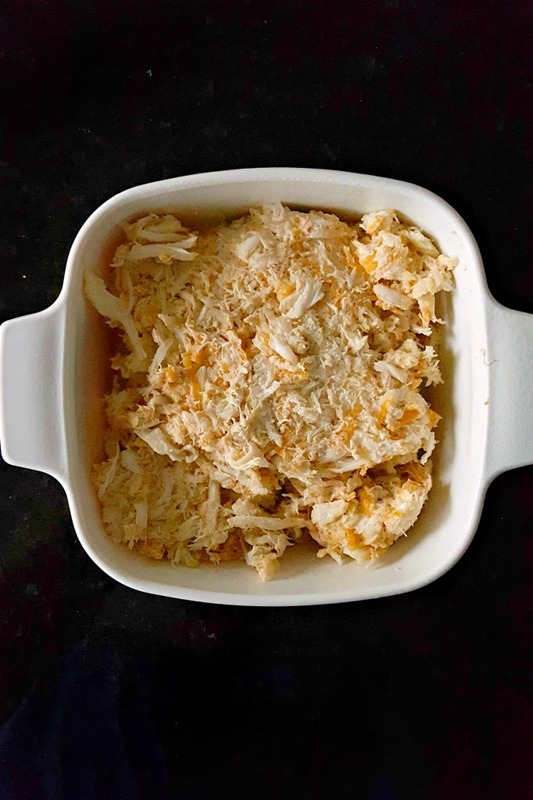 I’m sharing this amazing recipe for a simple and delicious Easy Crab Dip Recipe that’s perfect for any time of year! But I’m sharing it especially for this time of year. This is not only delicious, but it’s a quick and easy recipe that you can throw together when that friend calls to say they’re “dropping by” after work. Or those relatives decide to stop by out of the blue. Or, you’re hankering for something amazingly delicious and you don’t want to spend forever in the kitchen. 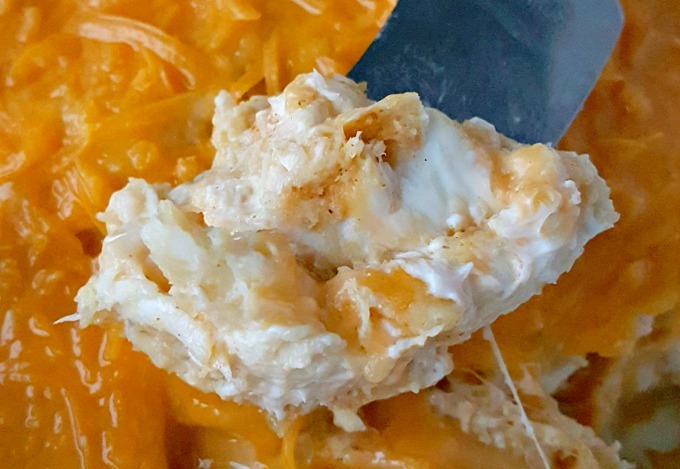 This Easy Crab Dip Recipe truly is a lifesaving appetizer recipe! I had almost everything I needed to make this fabulous appetizer. I just needed the crab and that’s only because the can I had in the refrigerator just didn’t quite taste right. Wait. You mean you don’t keep pasteurized crab in the fridge just in case? It has saved me more times than I can count. You should. It means you can whip up this crab dip any time you want! And trust me when I say you will want to make this Easy Crab Dip Recipe all the time. The hubs and I dove into this dip shortly after photographing it. Granted, mine didn’t look as cheesy good as Michelle’s but that’s because I used fat free cheese and forgot to spritz it. But, that didn’t affect the taste too much. It still tasted addictive. Since it is just the two of us, we didn’t quite finish the whole dish of dip. In fact, we only had about a quarter of it. Which left quite a bit left over. This would have been different had I made this not so close to dinner. But that’s okay! Because the next day, I heated up a little bit and made a sandwich for lunch out of. Honestly. This dip is so versatile you could make sandwiches, dip, canapes, crostinis, stuffed mushrooms; almost anything you want out of this dip! See what I mean? It’s packed with sweet, delicious crab! And creamy cheese. Topped off with a spicy kick of flavor. It truly is the best crab dip recipe I’ve had in a long time. It’s most certainly a recipe I will keep in my pocket for emergencies, or when I’m hankering for some crab. 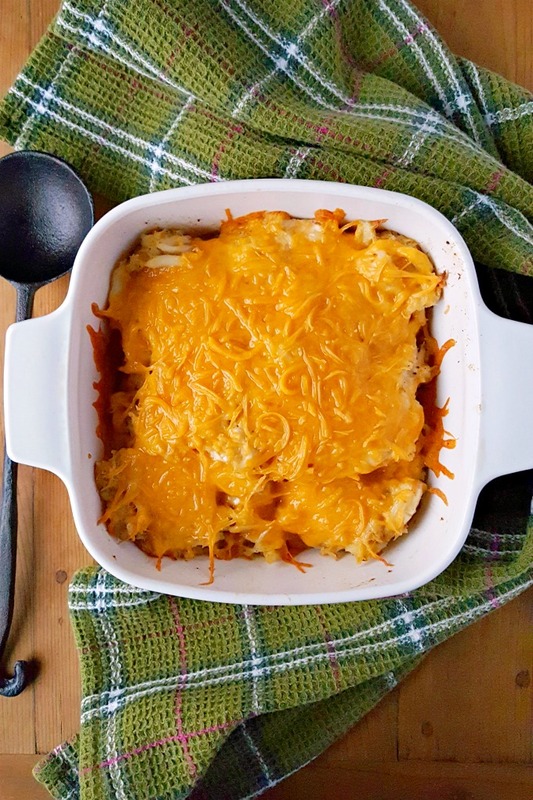 For the next several weeks, we’ll be sharing recipes from Michelle’s blog, A Dish of Daily Life. I hope you join in on the fun and share the recipes. We would love to show Michelle some love and share some of her amazing recipes. This crab dip looks great! 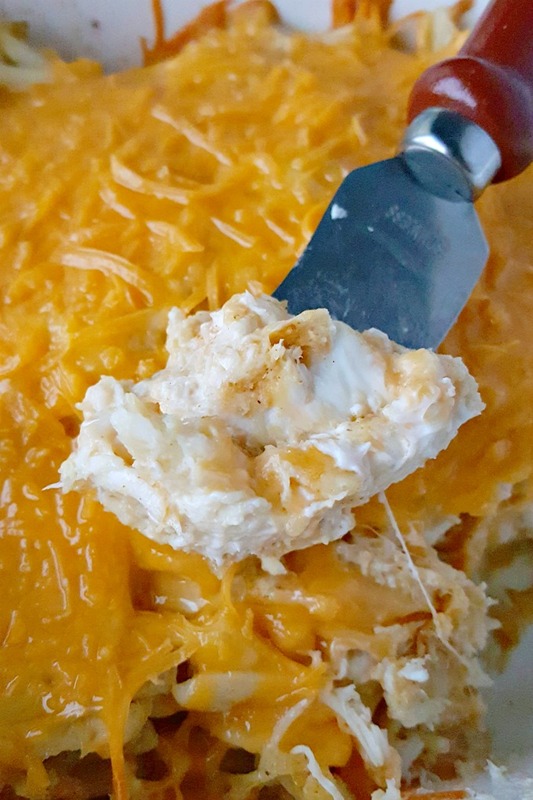 I love crab dip, so yummy and comforting! Nice work! It was super delicious! I hope you try it. I love how simple but how YUMMY this is! Same here! It’s perfect for all your parties, guests, or just because needs! What an awesome recipe!! This dip is surely to be a hit appetizer at get togethers! For sure!! It’s cheese and crab. What’s not to love? Your link to the recipe is no longer working! Thanks. It was a typo. I fixed it. I love crab dip but have never made it before. This will be great for holiday parties! You should try Michelle’s recipe! It’s so easy and delicious. Definitely a recipe to keep on hand. This looks incredible!! And it’s just perfect for the holidays!! Absolutely! So simple to throw together. If you’re like me, you’ll forget there’s a party until the night before. Voila! I love recipes like this! Quick and easy but taste fancy enough that friends think you went all out. That’s SO true Julie! It’s so simple, yet can be elegantly prepared and presented with maybe white cheddar on top. I really do love crab! Love it! It’s interesting how it can either be really cheap or really expensive! I don’t really get it, but… I regardless, I am going to eat it! ha! I do, too! This can wasn’t too much and well worth it to make this super simple super delicious dip! I am ALWAYS looking for easy dip recipes ! This looks AWESOME! It IS awesome!! And super easy! Oh my goodness, this looks just delicious! This is my kinda appetizer – YUM! Oh Christie, I turned on my computer for just a few minutes this morning before I head to the hospital for my surgery and I saw this. I have no words. This means so much to me. You all are amazing! Thank you! Please thank the others for me as well. You guys are the best and I am lucky to know you all! And I’m glad you enjoyed my crab dip too! You are so welcome, sweetie!! Just know that we are all thinking of you and will make sure your blog gets a traffic boost while you’re recovering.